Whose London Is It Anyway? is a festival of work at the Camden People's Theatre that's looking “at the changing face of our capital city”. Here are three artists talking about works they've made about housing: one lives in suburbia, one in high-rise central London, one has moved out of the city altogether, to Bristol. The trailer for Sh!t Theatre’s new performance, Letters to Windsor House, takes us literally right into their home. Up the concrete stairs of the incongruously named tower-block, along the Le Corbusier-inspired “walkway in the sky” familiar from shock docs, Attack The Block and Tony Blair sink estate speeches – through the front door. Three performances at Whose London Is It Anyway? at Camden People’s Theatre this month are looking at different stories about where and how we live. 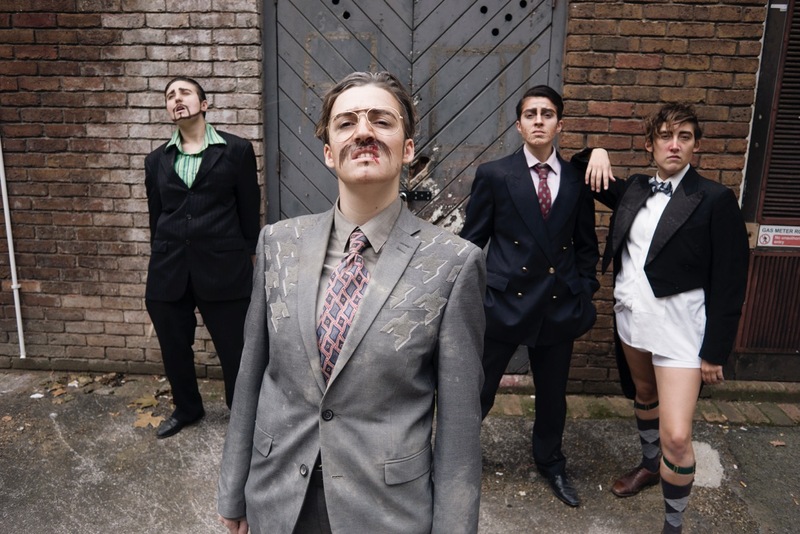 Rachael Clerke’s Cuncrete is a dragged-up punk gig, led by a sleazy middle-aged architect who’s a living critique of hyper-masculinity and its effects on the built environment. Theatre-maker, Londoner and single mother Annie Siddon’s performance How (Not) To Live In Suburbia is about her personal struggle to fit in, after she found herself living in suburbia by accident. Sh!t Theatre’s Letters to Windsor House is a piece of detective work – and a look at how the housing crisis has affected the two performers’ friendship. The personal is the political, as the 1970s Women’s Lib slogan goes. And that’s never more true when you look at the home. Where you choose to live (or just as often where you end up living) places you in a socio-economic grouping. It defines which politicians you are able to elect (if you can vote). It dictates how you spend your money, where you work, what sights you see and how others see you. But it’s also a womb, a cocoon, a physical expression of your personality – whether it’s an orderly white box, a chaotic spilling-out of mugs, clothes, books and half-finished projects (me), or a Sunday Times supplement photoshoot made real. We’re in a post-social housing policy wasteland, and optimism is in short supply. The overcrowded rental market is the kind of parent worthy of Mommie Dearest, inhospitable and brutal. Horror stories are traded like football cards, and met with the same kind of mesmerised horror you get as the camera pans slowly through Withnail’s kitchen, overflowing with sink mould and lavish decay. But every funny story points at something massive. Withnail’s mouldy kitchen is a symptom of a spiritual malaise, the something rotten in the state of Denmark, aired out in his final gorgeous Hamlet soliloquy. And by interacting with your streets, your area, you can see the political and social changes simmering underneath every corner shop and well-trimmed hedge. “So I live in suburbia, which couldn’t be more gentrified to start with, and my longterm aim is to move back into the city, but what I’ve been wondering lately is where is my London now, because many of the places I used to live before I lived here have changed beyond all recognition, and now there are all these made up places, made up developments with weird names like Silt Island, or Curlew Peninsula, which are just totally made up bits of mud that they’re building 800 storey buildings on and which Crossrail will serve. So how do you talk about change? How do you get angry? Making political work is fraught, and artists and critics can end up circling round the word agit-prop like flocks of birds round an electric fence, unable to settle on it or ignore it. “The Soviets started mass building in concrete because it was cheap and didn’t require skilled workers. In the UK we adopted it for far more ideological reasons. We had no skill shortage, and it wasn’t really cheaper than building in stone, but after WWII a lot of UK governmental policy was based on the idea that everything would ‘always get better’. So building in concrete was seen as futuristic, and a sign of progress. So much so that there are parts of Thamesmead that are actually made of stone, but clad in concrete. Sh!t Theatre’s Letters to Windsor House. Photo: Claire Nolan. Annie Siddon’s performance How (Not) To Live In Suburbia is on from 21-22 January. Sh!t Theatre’s Letters to Windsor House is on the 28-29 Jan. Rachael Clerke’s Cuncrete is on the 30-31 Jan. For full details of the Whose London Is It Anyway? programme, visit the Camden People’s Theatre website.